The new partnership invited applications for grants up to £10,000 to fund projects that engage children and young people in science based activities. 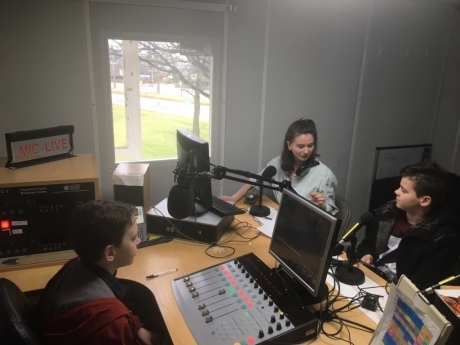 Working together, the University and SHMU have received £10,000 in order to support their Youth Media Project, which encourages young people, living in the regeneration areas of Aberdeen, to explore science through digital community media. The Curiosity grant will cover the cost of materials and staff at the project to enable young people to use their skills in film, radio, magazine and on-line platforms to research and develop stories with a science theme. The project aims to boost the participant’s skills and confidence, and will provide an opportunity for them to participate in the University’s May Festival where they will organise and lead a public event with a panel of scientists. Dr Heather Doran from the University of Aberdeen’s Public Engagement with Research Unit, commented: “This is an extremely exciting project and I am delighted that the partnership between the University and SHMU has received this grant.